An unidentified Tibetan monk set himself ablaze on Thursday [9 July 2015] in the central square of Kyegudo in the Yulshul Tibetan Autonomous Prefecture, China’s Qinghai province, in a protest against Beijing’s rule in the Tibetan region. It constitutes the sixth self-immolation this year and brings the total number of self-immolations by Tibetans since the beginning of open protests in 2009 to 142. 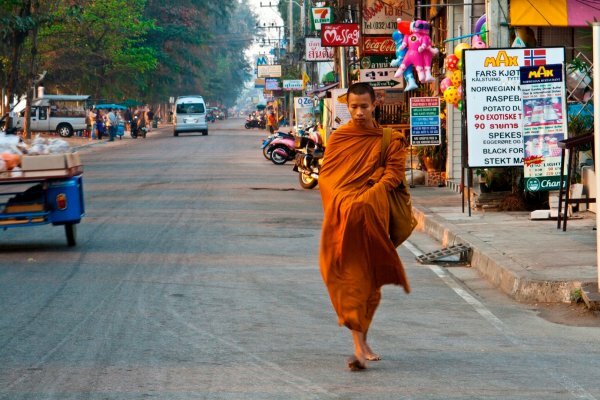 The monk was taken to a hospital for treatment, but his current condition or whereabouts remain unknown. It also remains unclear whether he was taken away by bystanders or by the police. A Tibetan monk set himself ablaze on Thursday in northwestern China’s Qinghai province in an apparent challenge to Beijing’s rule in Tibetan areas in the sixth such protest this year, according to sources in the region and in exile. The burning in the central square of Kyegudo in the Yulshul (in Chinese, Yushu) Tibetan Autonomous Prefecture brings to 142 the total number of self-immolations by Tibetans since the wave of fiery protests began in 2009. The still unidentified monk was taken to hospital for treatment of his burns, but no word has been received on his current condition or whereabouts, sources said. “On July 9, sometime between 5:00 and 6:00 p.m. [local time] a monk self-immolated in Kyegudo’s Gesar Square,” a Tibetan living in exile told RFA’s Tibetan Service on Thursday, citing contacts in the town. “We still don’t know what his name is or which monastery he came from,” he said, adding that though sources said the monk was transported to a local hospital for treatment, it is unclear if he was taken there by bystanders or the police. Kyegudo, the site of Thursday’s protest and Yulshul prefecture’s main town, was hit by a devastating earthquake on April 14, 2010 that largely destroyed the town and killed almost 3,000 residents by official count. Thursday’s burning is the sixth Tibetan self-immolation to take place since the beginning of the year. It follows the May 27 protest of Sangye Tso, a Tibetan mother of two, who set herself ablaze and died outside Chinese police headquarters in Chone (Zhuoni) county in Gansu province’s Kanlho (Gannan) Tibetan Autonomous Prefecture.